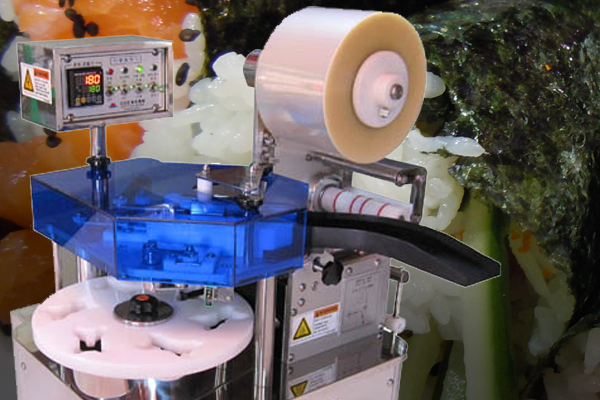 The machine is designed for separate Sushi packaging with an plastic film. 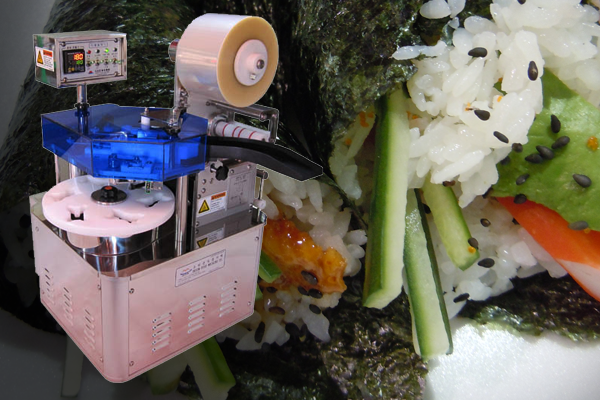 Can be used for Take-away or Supermarket sales. Voltage 230 Volt / 50 hz.